The genre of horror makes its profits from the exploitation of real human fears and unimaginably disturbing events. Using established and innovative techniques with cinematography and soundtrack to amplify patterns of human fear, films of this genre make their success by knowing what will really make their audience cringe. Thematic subgenres of natural/eco-horror, serial killer thriller, monster movies, and more prove the that varied genre of horror works to address true-to-life events and situations gone awry. In these cases, the things that bother us in our daily lives become purposefully distorted or amplified to make viewers fearful. Not all stories are simply designed to trigger real fears, however, and furthermore, not all stories are so simple to detach from reality. Fascinatingly, a handful of horror films do take their inspiration from true events, and some even keep their scripts as true-to-reality as possible. For these horror films, blunt reality is the terror in focus. This list takes as its subject the top ten horror films that actually happened. Whether the terror came from real serial killers, possessions, premonitions, or ghosts, these films claim to be more than “inspired by” real life. When you pop in or turn on one of these films, you will be bombarded with situations that real people fought through, struggles they endured, and horrors they embodied. Together, these ten films are perhaps some of the most horrifying stories in their genre, for they rocked real peoples’ worlds. If they could be true, what’s to stop something similar from happening to you? One of the most notorious serial killers of all time, Jeffrey Dahmer, appears as the subject of several films across cinema history, but the most horrifying is easily “Dahmer” directed and written by David Jacobson and released in 2002. If you haven’t heard of this sadistic serial killer, it’s time to catch you up with some facts. In the late 1900s, Jeffrey Dahmer raped, killed, and mutilated 17 young men and boys over a 13-year killing spree. It seems Dahmer’s impetus for action was the drive to create a living zombie, for his closeted homosexuality, his homophobic father, and his own severe mental instabilities made it impossible for him to live out the relationships he truly desired. In the later years of his killing “career,” Dahmer even went so far as to commit necrophilia and partially cannibalize his victims to achieve the twisted closeness he desired. This real serial killer and his murderous affairs are portrayed as accurately as possible in “Dahmer,” which just makes the film all the more disturbing. Apparently, his portrayal of this sadistic killer was what landed him future roles in “The Hurt Locker” (2008) and “The Avengers” (2012), and it’s easy to understand why. He really commits to this role despite how troubling it must have been to embody. Several other films about serial killers were released around the same time as “Dahmer,” so it seems that the early 2000s were somewhat focused on telling these deranged killers’ tales. Three other films released within three years of “Dahmer” that fit the same genre focus are “Ed Gein” (2000), “Gacy” (2003), and “Bundy” (2002). To get a true idea of how shocking the human existence can be, check out each one. To this list-writer, however, “Dahmer” is still the worst of them all. 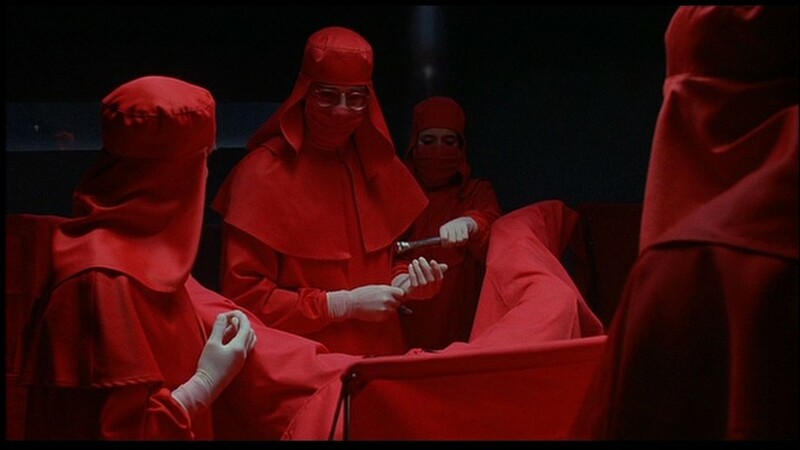 In 1988, director David Cronenberg released “Dead Ringers,” a true story about appalling events related to intrusion of privacy on a grand scale and medical malpractice. Jeremy Irons stars as the infamous twin gynecologists Stewart and Cyril Marcus, who are called Elliot and Beverly Mantle in this film. These real-world brothers worked at Cornell’s Medical Center and were highly respected in their field until their lives unraveled. And when the crisis came to term, they had both already committed themselves to the same fate: suicide by barbiturate overdose. As it happens, the two twin men shared a strong bond but were hardly equal in terms of their confidence with women. As the film depicts, one brother had an increasingly difficult time with women, so when his twin was done with any current partner, he’d pass her off to that other brother without her knowing the wiser. Outside of their relationships, the twins brought this switch-up into work as well. The film depicts intense techniques being practiced on women, but it seems the men in real life were simply depressive drug addicts with questionable morals. The film was written by director Cronenberg in collaboration with Norman Snider, and it was based off a book about the twin doctors’ lives, but some artistic license was taken to amplify the fear and horror elements of the story when it was put to the silver screen. The choice to use one actor (instead of real-life twins) to play these brothers adds some artistry to the film, but the effects of the 1980s aren’t quite equipped to induce high realism in that effort. As a whole, the film is utterly disturbing and at times, revolting, but it’s also been sensationalized to fit the big screen. Overall, the film’s anchor to reality holds firm, and “Dead Ringers” is sure to make any audience squirm in their seats. Out of the plethora of exorcism films that exist in the world, only a handful are based on real events, and when they are, the horror gets absolutely amped up. The simple fact that exorcisms still take place with the Pope’s sanction is enough to make one’s skin crawl, but when they’re portrayed in film, the realities of demons and possession become more real for audiences around the world. Take “The Exorcism of Emily Rose,” for example. The 2005 film directed by Scott Derrickson is based on the life of Anneliese Michel, who lived from 1952 to 1976. At the time of her death, the 23-year-old German woman had apparently spent the last year of her life having undergone Catholic exorcism rites, and the effects of the rites seem to have been what killed her. “The Exorcism of Emily Rose” adapts that story to focus instead on the life of 19-year-old college student Emily Rose who has died when the film begins, and flashbacks tell her story as her parents and “exorcizers” are put to trial. Ultimately, the film portrays a truth of what actually happened to Anneliese: the Catholic Church had sanctioned the young woman’s exorcism, but when she dies, the court settles on “negligent homicide” as her cause of death. In response, the Bishops who conducted the exorcism are found guilty. Many call the case a “misidentification of mental illness,” for Anneliese was also an epileptic who had spent years in and out of mental institutions. After Anneliese’s medical condition didn’t improve as years passed, her parents appealed to the Catholic Church for help because they determined their daughter had to be possessed by demons. At first, the appeal was rejected, but it was accepted after the family’s insistence. Due to the practices involved in the Bishops’ eleven months of exorcism attempts (which they ironically deemed successful), Anneliese was so physically impoverished that she died in her home of dehydration and malnourishment. She also had both knees broken from excessive kneeling in prayer and weighed only 68 pounds at the time of her death. “The Exorcism of Emily Rose” uses these facts as a base but applies its own creativity to the incidents of exorcism. We have no real footage of the events that lead to Anneliese’s death, which is perhaps why filmmakers are so keen to fabricate what they imagine could have happened. 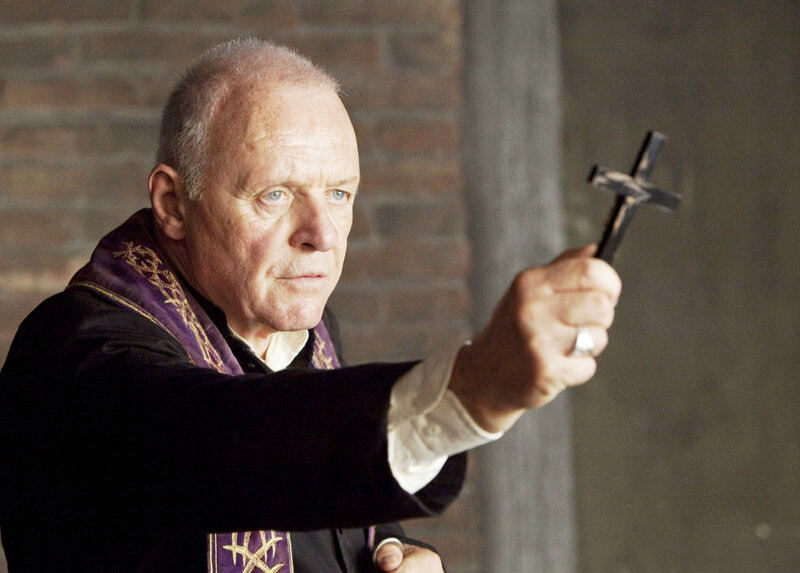 Overall, the film makes the viewer believe in exorcisms and demons while the real-world trial pushes people away from that belief, so there is significant difference between the realities of Anneliese versus Emily Rose, but the fact that exorcisms still happen with the backing of the Catholic Church – and that some people die from them – is enough to terrify many. Most horror buffs likely know that “The Girl Next Door” from 2007 is based on a novel by Jack Ketchum, but they might not know that that novel is based on the real torture and murder of a young woman named Sylvia Likens in 1965. While the film replaces Sylvia with a protagonist named “Meg Loughlin” (whose backstory is significantly different than Sylvia’s), the events that happen to that protagonist are the same, and they are unfortunately accurate. In the film, Meg and her disabled sister Susan are sent to live with their aunt after their parents are killed in a car accident, and their aunt takes out horrible abuse on Meg, but the reality is actually a little more depressing (if that’s possible). Ketchum’s decision to kill the girls’ parents in his book adaptation of the tale is somewhat kind in relation to what actually happened to Sylvia Likens and her sister Jenny. Born to carnival workers, these sisters were tossed from place to place by their erratic parents whose marriage was utterly unstable. In due course, the parents split up and the girls ended up with their mother who was arrested for shoplifting a few months later, leaving the girls in a questionable state. Their father stepped in, but only to arrange that the girls would go live with a neighbor, Gertrude Nadine Baniszewski. When their mother couldn’t care for them, their father actively refused to take in his own daughters, instead sending them both to their doom in the form of an angry, unstable divorced housewife. The sisters were only two of five Likens children to be sent into the horrible living situation depicted in the book and the film. The Baniszewskis (with whom they went to live) were a poor family, so Mr. Likens at first offered $20 a week for Gertrude to take care of his daughters, but when the payments started coming in late, the abuse began. Initially, the abuse was focused on both girls, and it was only in the form of paddling their bare bottoms, albeit harshly. In time, the abuse was solely enacted on Sylvia. The film is accurate in this portrayal. All of Gertrude Baniszewski’s seven children were invited to join in the abuse, and young boys from town eventually joined in as well. While still horrible, the abuse began rather “innocently” with the older children having sanctioned beatings of Sylvia and being allowed to push her down the stairs whenever they wanted. Things soon escalated to a fatal extent, however. Gertrude took Sylvia down into the basement and tied her up for all to see. Sylvia was then subjected to humiliating and gruesome verbal, physical, and emotional tortures, all of which culminated in her own death. If you want to know the details, you’ll have to withstand the film (or check out “Murder of Sylvia Likens” on Wikipedia). “The Girl Next Door” demonstrates Sylvia’s final moments fairly accurately, and it does a fabulous job of showing how domestic abuse can be utterly hidden in plain sight. Another film that’s horrific enough to fit this list once again focuses on the realities of demons and possession. In the dark and distressing drama “The Rite” from 2011, Anthony Hopkins stars as the exorcist who teaches the curious and doubting American (played by Colin O’Donoghue) everything he knows about the practice. As the American struggles with his faith and attempts to resign from his role in the Church, he gets sent to Italy to study with an active practitioner of exorcism. His worldview is utterly shaken after what he lives through and learns in Italy, and his faith gets an even bigger test than he ever wanted to encounter. By the end of the film, the American completes an exorcism himself and becomes a true believer, accepting his role in the Church for life. So essentially the film is a story about a story about a story, but it actually retains details that Father Gary Thomas experienced. Baglio and Father Thomas both consulted for “The Rite” film, which just makes it all the more interesting (and terrifying). Baglio is quoted as saying, “I really wanted to try to make sure that it was as accurate as possible…I didn’t write the script. I’m not the director; I’m not an actor,” but he definitely had the facts to back up the story. While the true story behind “The Exorcism of Emily Rose” diverges from this so-called “reality” of demonic possession through the sentencing of Catholic Bishops through the court system for “negligent homicide,” “The Rite” and its true story reaffirm that demons and demonic possession are entirely real. Perhaps that overarching beliefs in exorcism and the power of the Catholic Church are why the Bishops that got sentenced for Anneliese’s death had their six-month terms in prison knocked down to only probation for three years. Regardless, “The Rite” is an excellent horror film, and it’s closely based on real life, so it’s sure to give you chills for weeks.